What Is the Non-Custodial Tax Credit? The IRS has very straightforward rules on claiming a child on tax returns. A qualifying child is typically claimed on only one parent’s return per tax year – unless special circumstances are met – and the IRS uses several factors to determine which parent that is. A father’s right to claim a child on a tax return is just as valid as a mother’s right to do so; the IRS is unbiased in this regard. And a father can claim a child on taxes if the child does not live with him. A father's right to claim a child on their tax return will be dependent on a variety of factors. For example, the length of time the child stayed with the father during the year relative to the mother will play a critical role in determining who has the right to claim the child as a dependent. If a couple is still married and filing separately, they have the right to determine amongst themselves who will claim the child. Family court orders have no bearing upon who can claim the child, and paying child support does not make you automatically eligible to claim the child as a dependent. As a general rule, the parent who has physical custody of the child for the majority of the tax year claims the child on his taxes – but this is not always the case. Non-custodial parents are sometimes eligible to claim a child if certain criteria are met. Check out the IRS’s website for specifics regarding non-custodial parents and what these criteria are. The custodial parent can decide to allow the non-custodial parent to claim the child on his taxes. In this case, the custodial parent signs Form 8332 which allows the non-custodial parent to claim the child. The non-custodial parent then files this form with his tax return. This qualifies him to claim the child in addition to possibly qualifying for the child tax credit, but not the earned income credit. The custodial parent is still able to claim the earned income tax credit for the child if she meets income and all other requirements for eligibility. The tiebreaker rule is applied when both parents are filing separately and claim the same dependent on their tax returns. To determine which parent should claim the child on her returns, the IRS uses a specific set of factors. For example, if the parents are filing singly and both claim the child on their returns, the IRS recognizes the child as the qualifying dependent of the parent who has the child for the longest period during the tax year. In the event the child lives with both parents for an equal amount of time during the tax year, the child then becomes the qualifying child of the parent with the highest adjusted gross income for the year. See the IRS website to familiarize yourself with the criteria for determining who gets to claim a child if both parents try to claim the same child for the same tax year. When this happens, the IRS processes the refund for the parent who has a right to claim the child. The parent who claimed the child in error faces additional taxes, penalties or fees associated with filing an amended return. This way, if your ex claimed the child on taxes illegally, the IRS will correct this. Unlike alimony payments, child support payments are considered tax-neutral. This means that the payer cannot deduct or write off the payments, and the recipient cannot claim them as income. The way the IRS looks at it, a parent would not buy his child soccer equipment or purchase food and clothing, and then attempt to write this off when tax time comes around. Instead, child support payments are treated as the responsibility of the parent to provide the necessities of caring for a child. This is also why child support cannot be considered taxable income by the parent receiving payments – because it is to be used for the care and upkeep of a child. 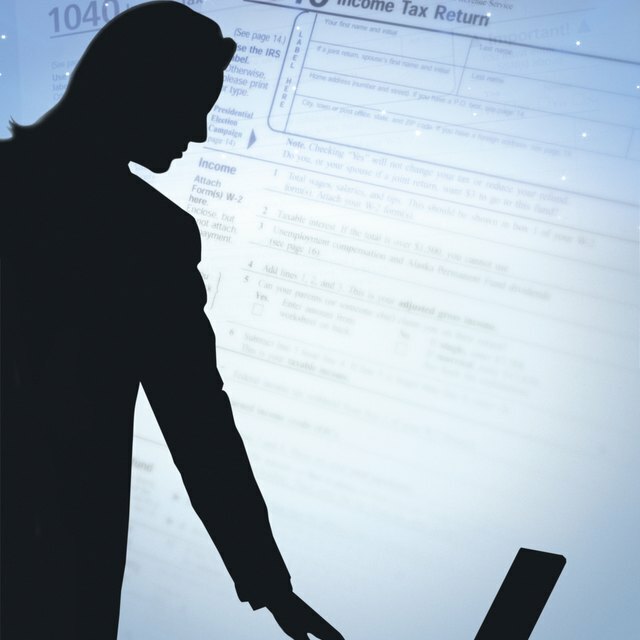 Typically, married couples fare better at tax time when filing jointly. However, circumstances arise in which it makes good tax sense to file separate returns. In the case of being married and filing separately, parents can decide between themselves who will claim the child on a tax return. Generally, if there is only one child, the parent who qualifies for the largest tax break claims the child on her tax return. But married couples filing separately may instead decide to split claiming multiple children and W-4 additional withholding between them. Keep in mind, if a married couple is planning to file separately, neither parent will be eligible for the earned income tax credit unless one spouse has lived away from the other for the last six months of the year. That spouse then may be eligible for filing as head of household status, which would possibly make him eligible for the EITC if he meets other requirements. The earned income tax credit is available for taxpayers, regardless if they have children or not. However, specific criteria must be met before claiming this tax credit – primarily regarding income and filing status. To be eligible for the EITC, your adjusted gross income and earned income must fall within certain limits. Also, those with children must meet rules for determining qualifying children. The rules for who is eligible for the EITC can be a bit overwhelming, but the IRS provides an interactive EITC assistant to help determine your eligibility, filing status, whether your child is a qualifying child, and an estimation of the tax credit you may receive. The IRS also has special criteria in place regarding EITC eligibility for military, clergy and those who have certain types of disability income or children with disabilities. The child tax credit – up to $1,000 per child for tax year 2017 and $2,000 for 2018 – is available if you have a qualifying child and meet all of the seven requirements for eligibility. These seven requirements, or tests, are based on age of the child, your relation to the child, amount of support provided for the child, citizenship, residency, dependency status and, lastly, family income. In order to qualify for the child tax credit, the child has to be under the age of 17 at the end of the tax year in which you claim the credit. The qualifying child can be your biological child, a stepchild, a foster child placed in your custody or your brother or sister. Step-siblings are also qualifying children as are adopted children – regardless if the adoption is finalized at the end of the tax year for which you're planning to file. To pass the support test, you must provide more than half of the child's financial support for the tax year. The child also must be claimed as an eligible dependent when you file your taxes. A qualifying child has to be a U.S. citizen, U.S. resident alien or a U.S. national for you to be eligible for the child tax credit. To pass the residency test, you need to prove the child lived with you for more than half of the tax year in which you're claiming the credit. There are several exceptions to this rule. If you're divorced or separated, check the IRS' website and read Form 1040, lines 51 and 6c or Form 1040-A, lines 33 and 6c for more details on what the residency exceptions are in this instance. The last test for eligibility is the family income test. For the 2017and 2018 tax years, the modified adjusted gross income thresholds are $55,000 for married filing separately, $75,000 if you're filing as single, head of household or a qualifying widow/er and $110,00 for married filing jointly status. For every $1,000 you earn above this threshold, your tax credit is reduced by $50. IRS: Do I Qualify for EITC?